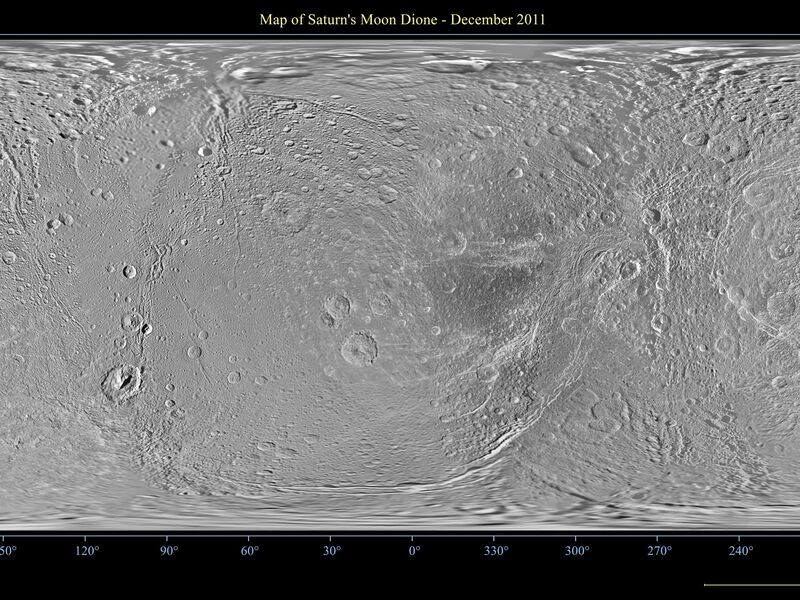 This global map of Saturn's moon Dione was created using images taken during flybys by NASA's Cassini spacecraft. The map is a simple cylindrical (equidistant) projection and has a scale of 502 feet (153 meters) per pixel at the equator. The resolution of the map is 64 pixels per degree. 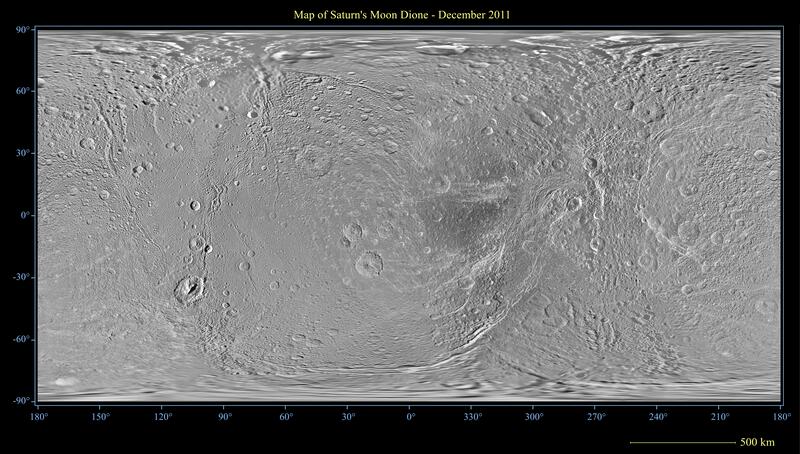 The mean radius of Dione used for projection of this map is 350 miles (563 kilometers). 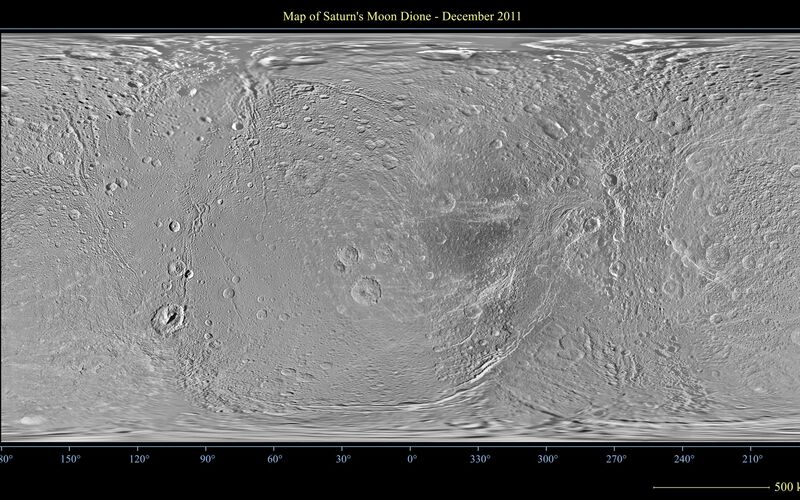 This map is an update to the version released in October 2010 (see PIA12814). 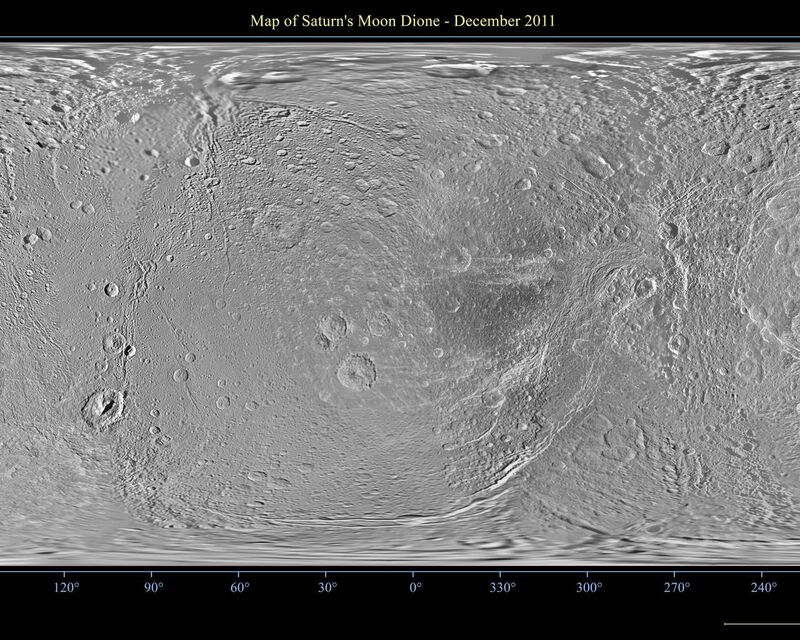 This new map contains data from Cassini's Dec. 12, 2011, flyby of Dione. Improved coverage is in the area around 45 degrees north latitude, 210 degrees west longitude. 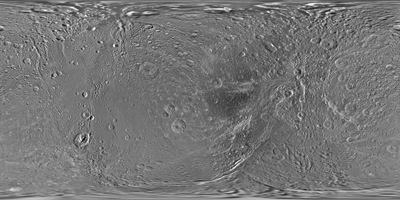 The full unannotated tiff version can be downlinked here PIA14914_full_2.tif. The full annotated tiff version PIA14914_full.tif. Photojournal note: these are large images and may be too large for some web browsers to handle. Users may right-click on the links to download the files to their desktop.